If you or someone you know has been injured by an IVC filter, contact us today at 1-888-666-0523. On January 26, 2015, Babbitt and Johnson, P.A. represented a plaintiff in the second lawsuit in the nation to proceed to trial against Bard for its defective inferior vena cava (IVC) filters. The case involved a Recovery Filter that migrated to and punctured a hole in the plaintiff’s heart, leading to emergency open heart surgery. After an 11 day trial, Bard made a confidential settlement offer that was accepted by the Plaintiff. IVC Filters can be associated with significant complications. IVC filters first came on the medical market decades ago. Over the years, several different medical device manufacturers have introduced several different designs of IVC filters. An IVC filter is a device designed to filter or “catch” blood clots that travel from the lower portions of the body to the heart and lungs. 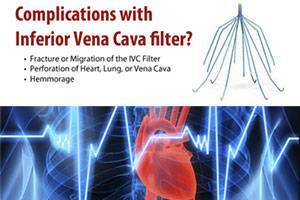 IVC filters are designed to be implanted, either permanently or temporarily, in the human body, more specifically, within the inferior vena cava. Studies show that shards can break from the filter and may be just as deadly as a stroke. A study conducted by the New England Society for Vascular Surgery noted a 31% fracture rate in IVC filters. Most of the splinters found their way to patient’s’ right ventricles of the heart. Another study conducted by Dr. Nicholson of York Hospital, showed that 25% of the group had splinters that broke off, most of which migrated to an end organ, such as the heart, lungs and the hepatic vein. It is alleged that as early as 2003, Bard’s own research showed that the IVC filters posed an unreasonable danger to patients from splintering. Bard did not tell the FDA about their findings, or warn patients or doctors, and continued to sell and market the deadly Recovery IVC filter until it could create a suitable replacement for the market. The company only removed the Recovery IVC from the market when it had a new filter, the G2, ready in 2005. Since 2005, the FDA has received 921 device adverse event reports involving IVC filters. In 2010, the FDA issued a safety warning highlighting that IVC filters are for short-term use in patients at risk for pulmonary embolism and implanting doctors are to retrieve the devices once the patient’s risk subsides. The FDA is concerned that doctors are not retrieving IVC filters intended for short-term placement, exposing patients to further health risks caused by fractured devices. According to the FDA’s report, since 2005 the agency had received 921 adverse event reports involving IVC filters; 328 involved device migration; 146 involved detachments of device components and embolizations, 70 involved perforation of the IVC and 56 involved filter breaking. What Can I Do If I Have Been Injured By An IVC Filter? Babbitt and Johnson, P.A. is investigating this and other allegations about IVC filters. If you or a loved one suffered a serious injury due to a defective IVC filter, you and your family may be entitled to financial compensation to help with medical costs, lost wages and other expenses. Babbitt & Johnson, P.A. has a proven record of success in handling cases involving defective medical devices, nationwide. To schedule a discussion about your IVC filter lawsuit claim, contact our IVC filter lawyers today toll-free at 1-888-666-0523. 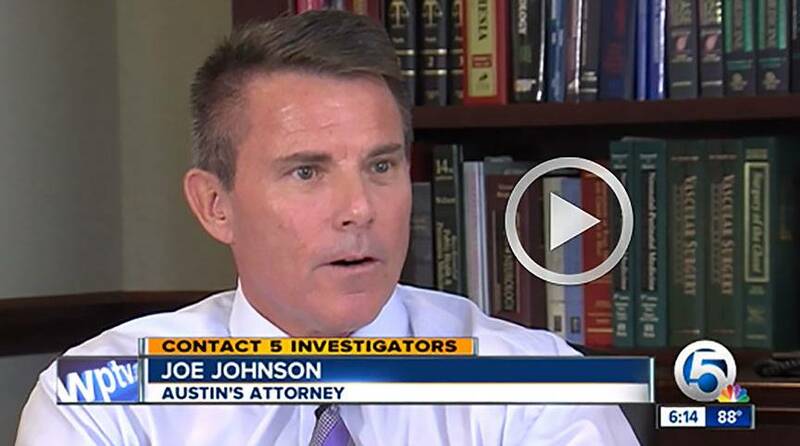 We will review your case and explain your options at no charge.